Black Marker Magic | Bookworms | Kids VT - small people, big ideas! When Ricardo Liniers Siri was a boy in Buenos Aires, he loved to read comics. Inspired by a friend's drawings, young Ricardo began experimenting with his own illustrations and was soon hooked. 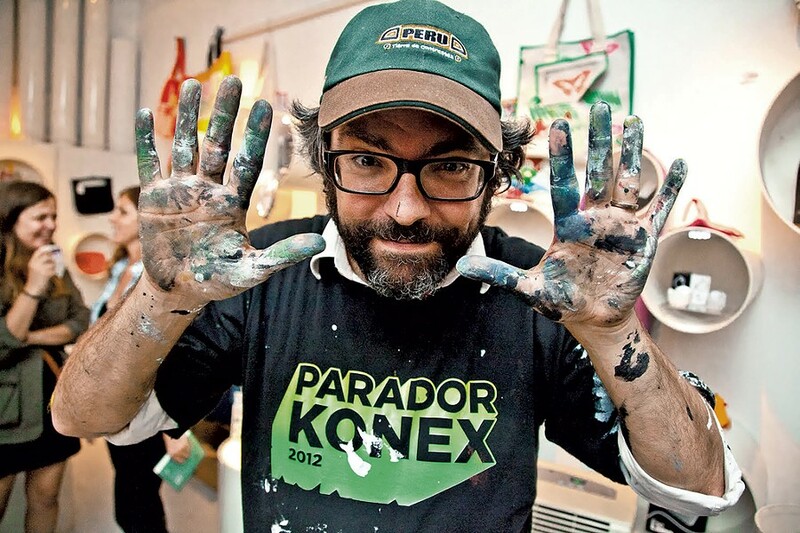 Now a renowned cartoonist, the Argentinian is professionally known by his middle name, Liniers. Since 2016, he's been a fellow at White River Junction's Center for Cartoon Studies and lives in Norwich with his wife and three daughters, ages 3, 7 and 9. 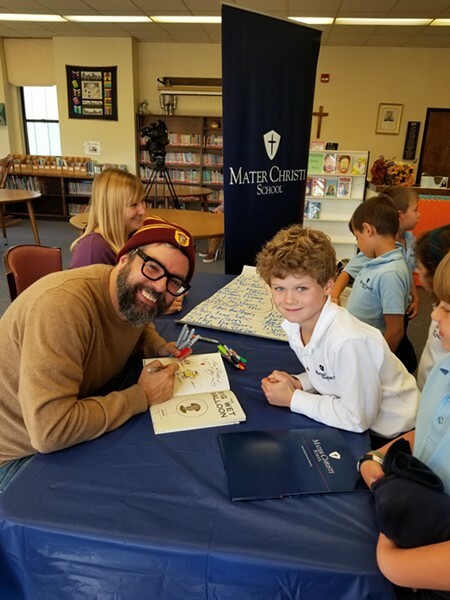 Last month, Liniers spent the morning with kindergarten through third grade students at Mater Christi School in Burlington. Wearing a Harry Potter Gryffindor beanie, jeans and hiking boots, he shared his latest book, Good Night, Planet, the third in a series of stories for young readers published by New York City-based Toon Books. The story follows a little girl, based on his youngest daughter, and her stuffed rabbit, Planet, as they experience an imaginative nighttime adventure. Surrounded by an attentive audience, Liniers demonstrated on a large tablet how he draws his comic strip, "Macanudo," published in Argentina's daily newspaper, La Nación. At the end of the presentation, a young boy asked how he could become a cartoonist. "That's a very important question," Liniers said seriously. "Tell your parents you will need a book without these things." The artist proceeded to draw lines. "You will need a black marker. Make squares for your comic strip and then you are on your way. Start drawing." Kids VT: How do you like living and working in Vermont? 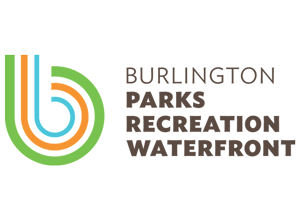 Ricardo Liniers Siri: Vermont has sunk its hooks into me. My family's experience here has been a bubble of beauty. I love the Center for Cartoon Studies. What took me 20 years to learn by myself can take students here two years instead — learning history and technique, but also the business and agent parts. KVT: What inspired you to create children's books? RLS: I love books. I think they are the best. As much fun as reading is, it's way more fun to come up with a story. The most fun is coming up with a character. I really love drawing. The thing about making books is that you get to lend your brain to someone else, and they get to see how your brain works. Also, when you raise kids, you can't find the pause button. I wonder about my daughters — How can you stay this way? You're so perfect. So The Big Wet Balloon and Good Night, Planet are my way of keeping that place for my children. KVT: You've been drawing your popular strip "Macanudo" in La Nación for about 15 years. Can you tell me more about that? RLS: I got my strip in 2002, and the "big picture" media stories were full of horror, in the United States and in Argentina. We had five presidents in a week. So macanudo means "It's fine" or "It's all right." My strip is a kind of optimistic resistance, a tiny story. The big picture continues to be terrible, but my friends and family are just amazing. I step outside, and the leaves on the trees are red. That's amazing. So is the smell of mowing the lawn. When you sharpen a pencil, that smell is also amazing. 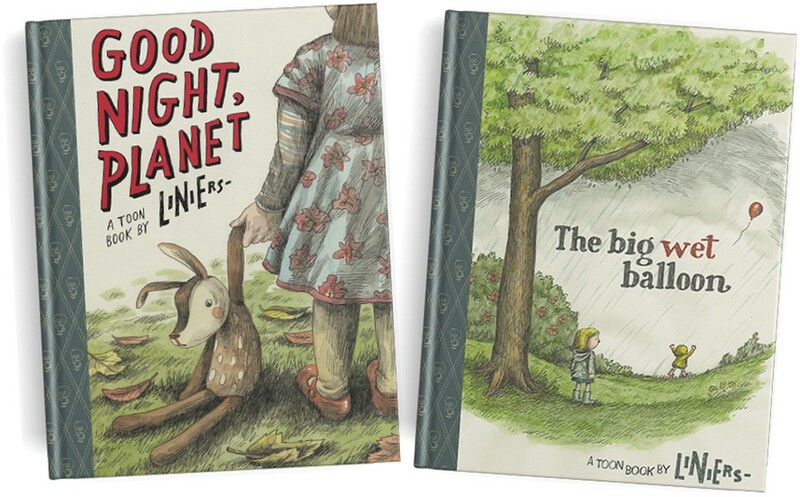 Liniers's children's books, Good Night, Planet, The Big Wet Balloon and Written and Drawn by Henrietta are available at local bookstores.